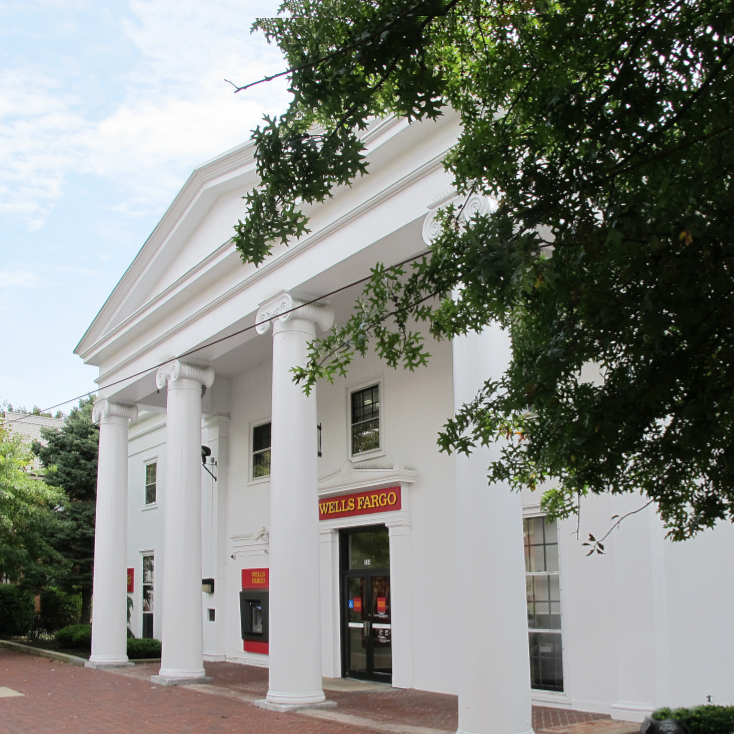 The central section of this generously proportioned white stuccoed building was designed after a Greek temple and features a portico with massive wooden Ionic columns. 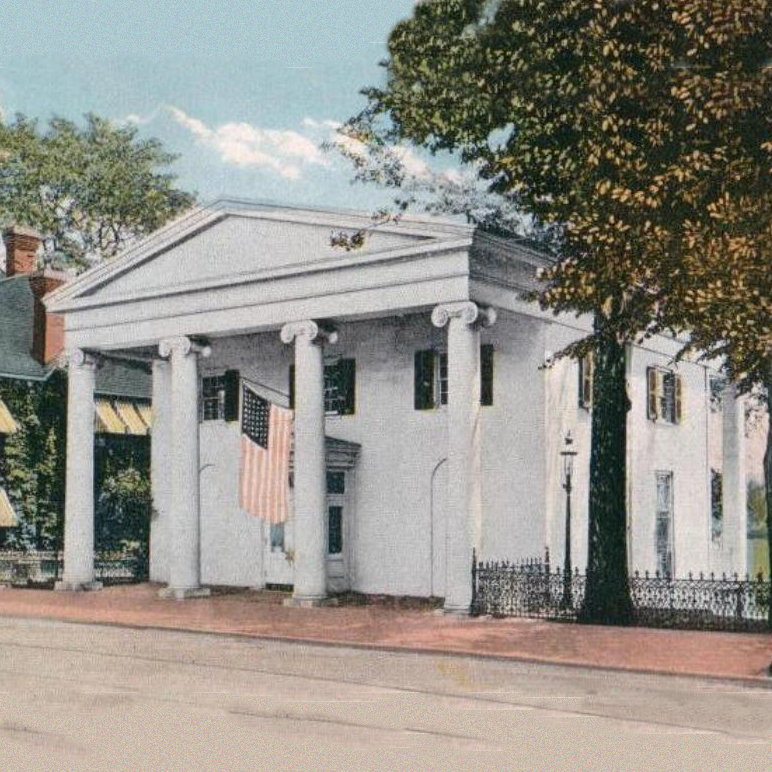 It was built in 1818 as a private residence for Joseph Craig, who sold the property to the Farmers’ Bank of Bucks County in 1830 when it moved its operations to this site. 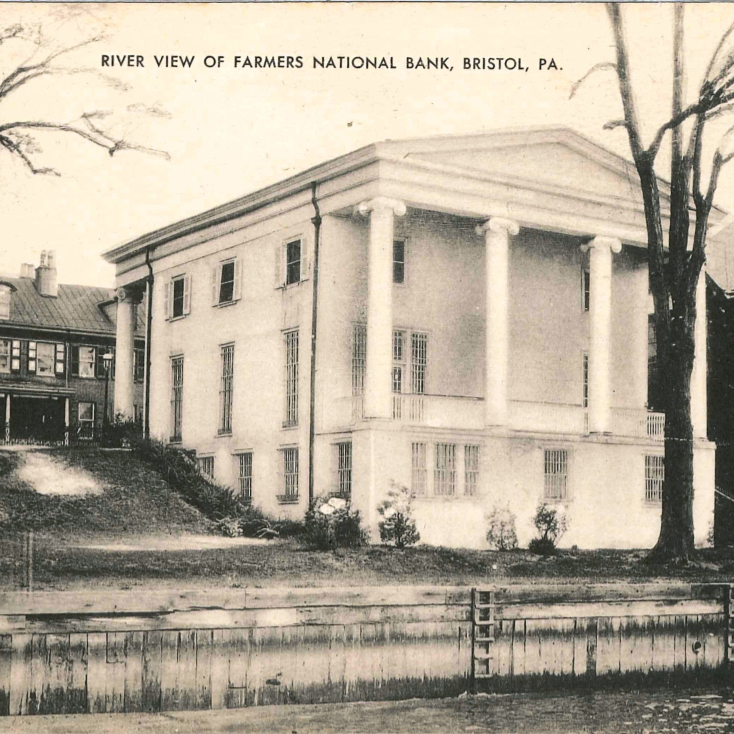 The Farmers’ Bank, the first in Bucks County, had been established over ten years earlier in nearby Hulmeville. This building has served as various banks since, and the two wings on either side of the main block were added in 1952.